Unique to the state of Indiana, the “Garden of Prayer” is a prime architectural example of a European-style grotto that was established as a site for spiritual meditation and religious devotion. 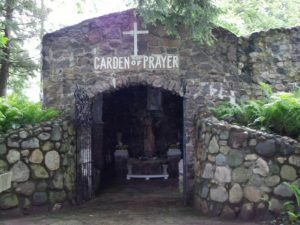 Consisting of two rooms, it is equipped with altars and statues of Jesus Christ where devotees pray and light devotion candles. 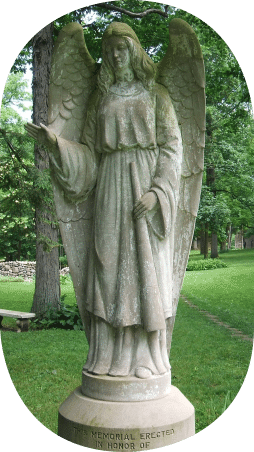 In 1940, the Sentinel Angel was placed outside the entrance of the Garden of Prayer as a memorial to the Mack Family.